Crap, the last two episodes were so saaaad. 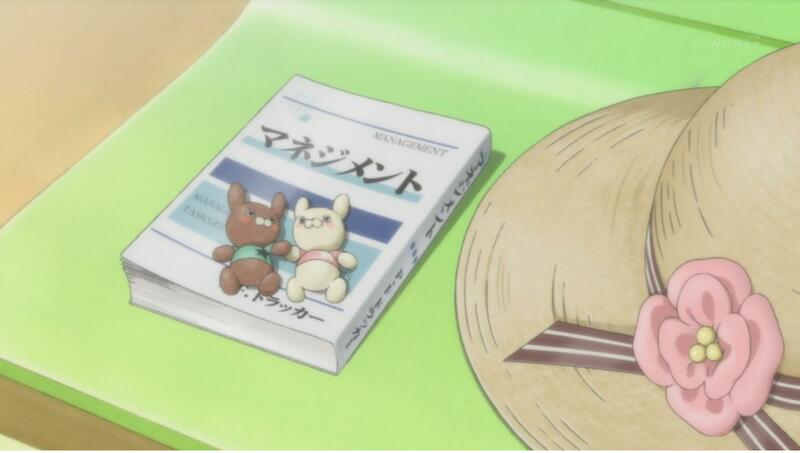 Such a KANASHII HANASHI. Graham Specter would love it. I cried a bit when watching them. It was really a great show overall in my opinion, one of the things that made it a great show is the 1 episode per weekday format, I honestly wouldn’t be able to take it if it aired each week, with all these cliffhangers and drama. They could have took anything for setting I think. To be honest, it’s not even about a female high school girl manager with a baseball setting, it’s about how you can put in practice business theories in other fields than business. And they do it right. They manage to do it by quoting the Management book, explaining it, and make you think seriously about it. 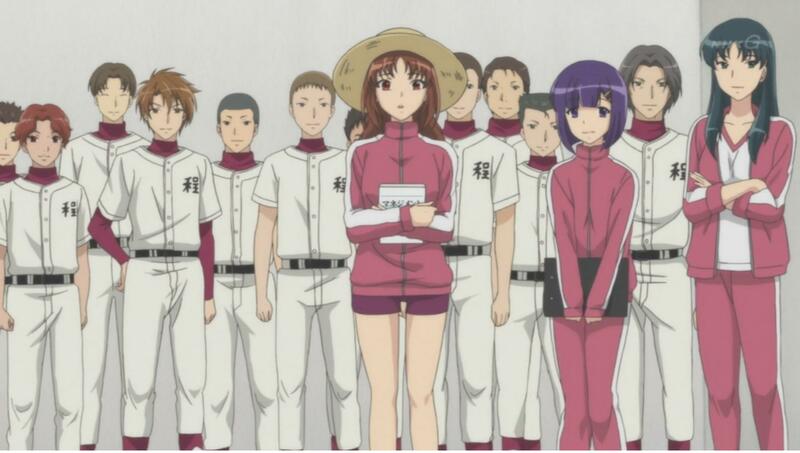 Baseball or other sports is good for the in-depth look into the different characters and the drama, but I’m pretty sure they could have done it with something else, like a Counter Strike setting( totally random first thing I thought of), as long as at least teamwork is involved. Peter Druker’s book is used well in order to help understand the players and get them to perform better. Is it me or Asano and Yunosuke were totally gay for each other during the whole series? Asano is the seme, always making passes at Yunosuke telling him things like “it’s alright”. When he messed up. Hahahahaha. I especially liked how Yunosuke developed, I liked him much because I always screw up when playing soccer with my friends just like him, and I’m bad under pressure, but I can do wonders when I concentrate. How they recreated that marvelous scene from Minami’s childhood , and how everything made sense, explaining why Yunosuke was at the hospital with Yuki that day. Not only the show’s concept is very original, the plot is thick too and there wasn’t any plothole in the end. You have to give credits to the original novel and it’s author. That final match, the tension was at maximum level, Kutsuki made his magic again, the counting… Yume Note playing, every element to make it awesome was here. “Every good mecha show have to end with an awesome final battle, with the Opening music playing in the background”. Guess I should expand this rule to non mecha anime too. I’ll rewatch it for sure, and make my family watch it too. And my kids too if I get some. It’s only ten episodes long and it’s way worth the time. Moshi Koko Yakyu no Joshi Manager ga Drucker no Management o Yondara, shortened to Moshidora, is a beautiful story. This entry was posted in Moshidora, Opinions on..., Reccomendations and tagged Moshidora, Opinions on... on May 7, 2011 by rockmanshii. Episode 6 got my eyes tear up a bit at the end. Same with episode 7 when they started singing, and counting. That scene, I was laughing so much for it was awesome . And they played a little bit longer version of the jikai song, which is itself a brass orchestra version of the op. I really love it. Brass music like that reminds me of Segagaga’s opening. The OP single has just been released, and they did add the Brass version, man, it’s so awesome. Azusa composes, creates the lyrics and sings. She did everything. Yume Note is a beautiful song. 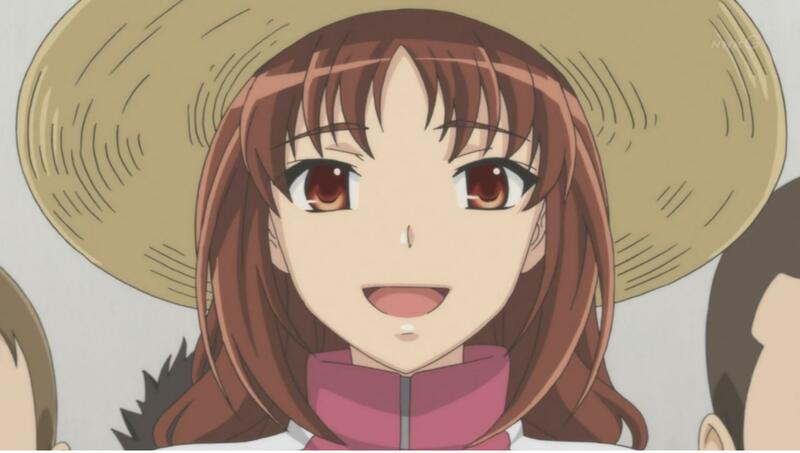 I didn’t watch Amagami so I didn’t know her before. I’ll remember her name. This entry was posted in Moshidora, Opinions on..., Reccomendations and tagged Moshidora, Opinions on... on May 5, 2011 by rockmanshii. That show is pretty entertaining, and it’s airing every weekday. gg is keeping up subbing for now. It’s currently 4am and I wanted to watch episode 1 &2 then sleep. I finished episode 1 thirty minutes ago or so, but just now gg released episode 3! All of my sleep is now Moshidora! Pis is Kawashima Minami, the heroine. yet another anime name I should keep in mind. She got nice legs, and seems like she’s always be wearing her PE attire, shorts and a sweater, or her uniform. 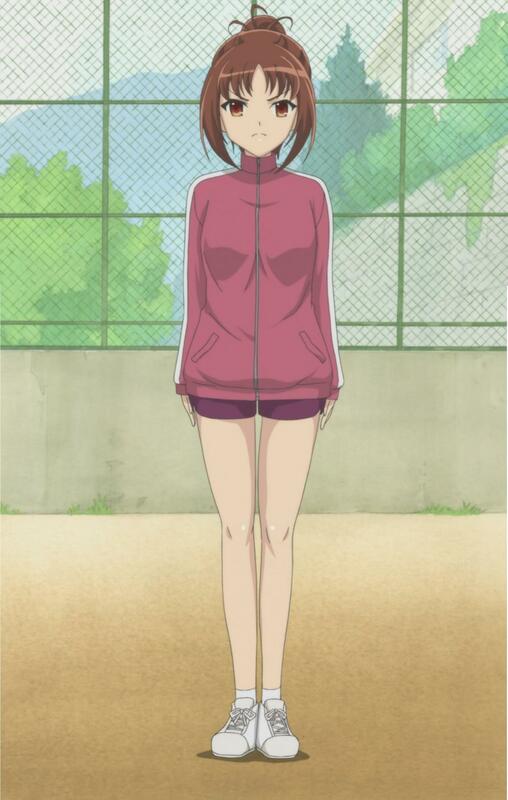 And yet this animu manages (huhuhu a word pun) to make me think about baseball and stuff seriously and not focus on her legs. Speaking of Baseball, nice thing I used to play American Baseball on Master System when I was a kid, if not I wouldn’t understand all the stuff going on at all. I didn’t even know about Peter Drucker before hearing about this show. Schools in my country only teach us crap. I should make a post about it. That’s the kind of subject that makes my blood boil! This entry was posted in Moshidora, Opinions on..., Reccomendations and tagged Moshidora, Opinions on... on April 28, 2011 by rockmanshii.